We take pride in our abilities to help make your job run smoothly! 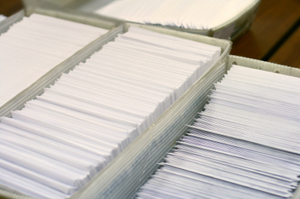 Don't sweat the small stuff...let us help you with your mailing and printing needs - from folding, stuffing, addressing (both with labels or printing directly onto your letters and envelopes), and even applying the stamps, along with delivery to the post office. We strive to give our best in all we do! When completing your request/order, please provide as much information in the form below, then click on the "Send Request" button.